When it comes to our recreational equipment, nothing is more important than protecting our investment. 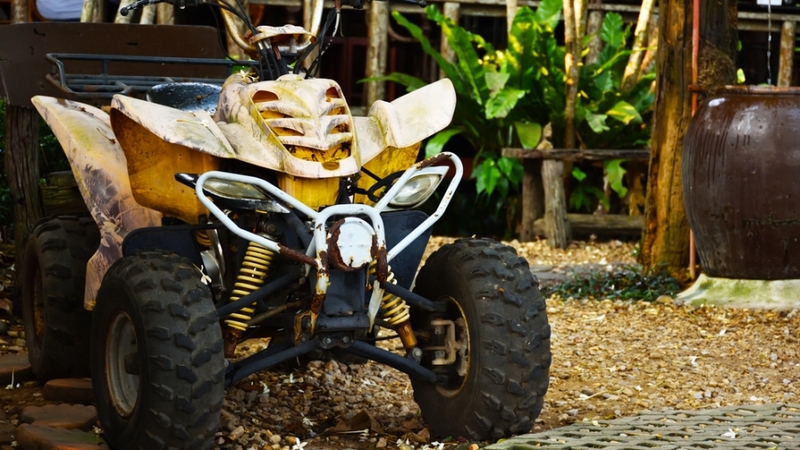 Some of the most neglected items people own are the toys they own, like ATV’s and boats, and the trailers they haul them on. 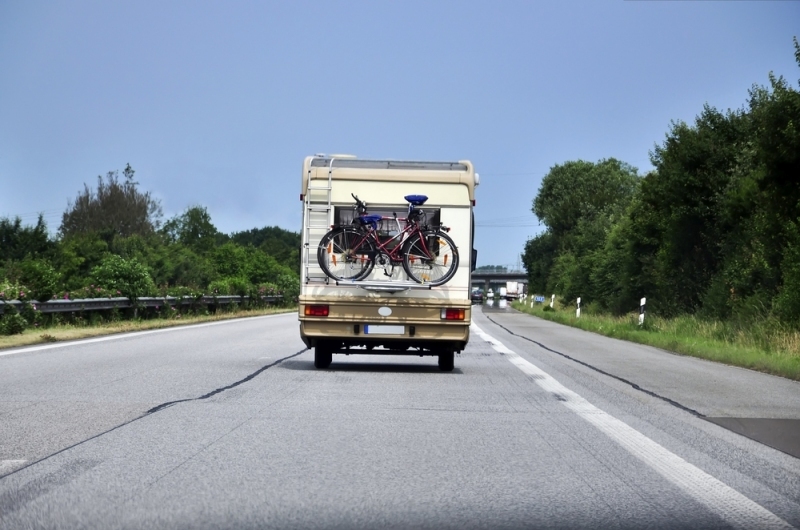 Camping trailers, boat trailers, jet skis, ATV’s and off-road motorcycles are often used right up until the end of the season, and then customers simply put them away, never completing the essential maintenance needed to store them properly. Here are some tips for protecting your recreational investments in all four seasons. There are a few things you need to do year-round, whether or not you are using your toys at that time of year. If you do not have a garage, keep your items in a covered area if possible, and protect them individually with covers. In the summer, sun can damage seats, grips, and other components, drying them out and causing them to fade and crack. In the winter, cold temperatures can do the same, not to mention the damage ice, snow, and other moisture can cause. You could rent a storage unit, but that can be both expensive and inconvenient. If you own your home and have room, you can get DIY residential garage kits, and construct a building specifically to house your equipment. Keep up with checking fluids and oil changes. Keep fluids full, even on items you are not using. This keeps water from gathering in the open spaces in tanks, oil reservoirs, and brake master cylinders. This water can cause fluids not to work as well or worse damage to your engine. This water can also cause corrosion and other damage. Also, keep up with oil changes. It is hard to put your equipment in the shop at the height of the season, but neglecting maintenance may result in breakdowns or other damage that may make them unavailable even longer, not to mention the additional cost. Not only does dust scratch paint, but thoroughly cleaning your equipment forces you to look it over carefully, and in doing so you may notice other issues that need your attention. If you are getting a lot of oil accumulation in one area, for example, this might mean you have a leak that you need to have repaired, or at the least that you need to keep an eye on oil levels until you can do so. This cleaning can also reveal small damage like dents or scratches you may not notice otherwise, or light bulbs out that may create safety concerns. Lubrication is especially important when your equipment is in use, but it is just as vital when it is sitting. Proper lubrication keeps water from damaging key components and ensures that seals and grease points do not dry out. After every time you clean your equipment, you should lubricate it appropriately. Fall is the time to put summer toys away, and break out the winter ones. This means that the summer equipment should be winterized and prepared for storage, and winter equipment needs to be prepared for the season. Change the oil all the way around, in both equipment that is being put away, and equipment that is being made ready for use (if appropriate). In the case of skis and snowboards, get a pre-season tune, in which edges are sharpened and equipment function is checked thoroughly. Use fuel stabilizer in equipment that is gas powered, and keep tanks and fluids full for the same reasons mentioned in the section about year-round maintenance above. Be sure tires are up off the ground if at all possible, and that they are inflated properly. They will lose air over the winter, and that is okay. The air will expand with the spring temperatures and you can reinflate them at that time. This includes trailers as well. Placing them on jack stands and taking pressure off the tires will make them last longer and less apt to develop cracks and tears that raise safety concerns. This is the time to keep your winter equipment, the things you are using at the moment, in tip-top shape. Cleaning, lubrication and ongoing maintenance are essential. In addition, be sure you are drying your equipment thoroughly after each use. This prevents rust and corrosion that can easily take root in the winter months and cause extensive damage. This is when you make the switch and prepare your winter equipment for storage, and get your summer equipment ready for spring. If you are doing your year-round maintenance routine faithfully, this should be a pretty painless process. Again, use fuel stabilizer in your gas-powered vehicles, and be sure to keep fluids full, lubricate and clean, and keep tires off of the ground whenever possible. This is the time of year to enjoy your summer toys, but at the same time, don’t neglect your winter equipment as well. Whenever you clean and lubricate your summer gear, do the same to your winter gear. Checking fluids, lubricating areas that need it, and keeping things clean will make your fall transition easier. In the long run, it will also save you money.